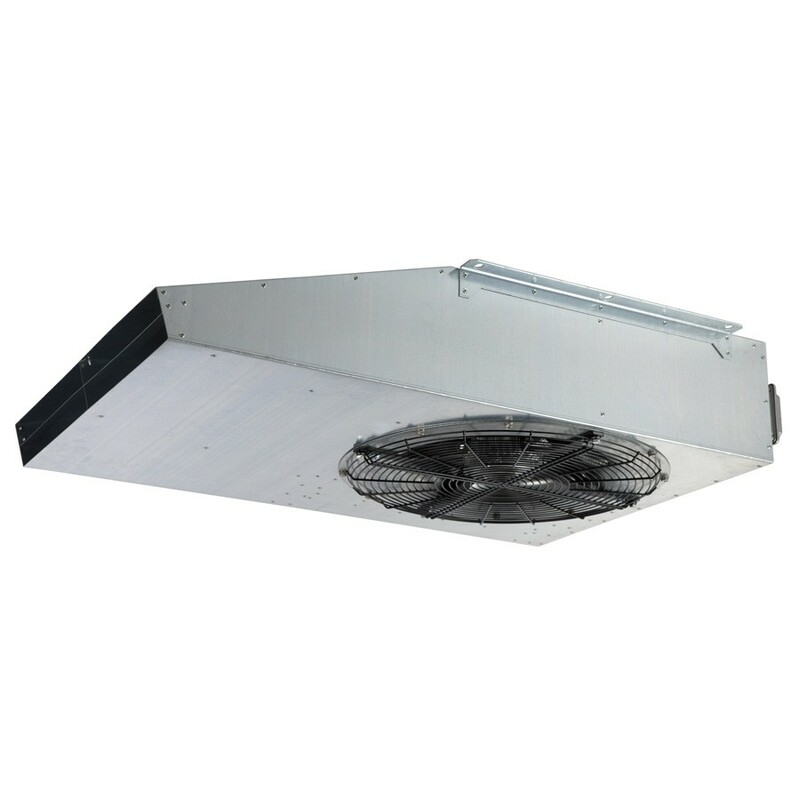 Centrifugal Jet fans to induce air movement in large spaces. Suitable for ventilation only at ambient temperature. Nominal thrust 50N, 75N and 100N. Backward curved centrifugal impeller in galvanised steel and balanced in accordance with ISO 1940-1, G6.3. Fan casing in galvanised steel. IEC from 80 to 90, 3 phase /400v / 50Hz,Class F.
Two speed 4/8 pole Dalhander winding. Factory fitted IP65 isolator in place of electrical terminal box, isolator also available as an accessory for use with standard terminal box fan.